One of the most awesome benefits of writing books for kids is that I get to visit schools and actually get to write WITH kids. It’s really an honor sit around a table, bowed over a waiting page, using the written word to explore the world within and around us. Writing together. Whenever I spend time in schools as a visiting author, I am blown away by how passionate and curious students are about reading, about books, and about bookmaking. Inevitably, our conversations turn to fonts and book covers. I’ve learned that many young writers feel strongly about their favorite fonts! And, I’ve heard young readers and writers get pretty annoyed when the pages of a book look disconnected from the story itself. I’m really lucky to have worked with Sherry Fatla, an artist at Candlewick Press, on all of my books. I know I am kind of sentimental, but truly, it never fails that when she sends me ideas about typeface and those first typeset pages, I get choked up every time because her pages look like the story! 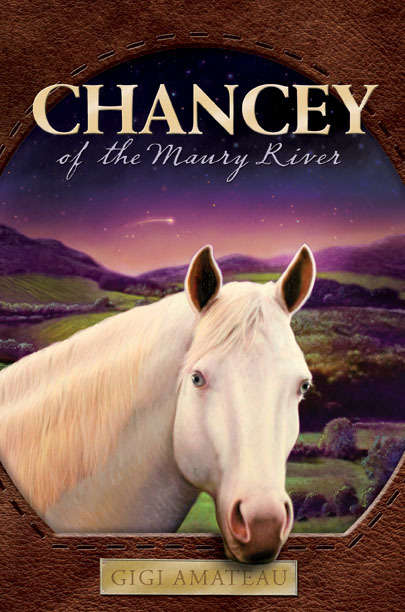 In this interview, Sherry answers questions from my writing students about designing the pages of my book Chancey of the Maury River. Q: Could you tell us about how you do your job? Sherry: The first thing I do when I am designing a book is read the manuscript! I think it is very important for the reader to feel that the design of the book really goes with the story. So I think about how I am feeling when I am reading it, and then try to find fonts that will interpret those feelings. Font is another name for typeface. If I think the book design would be enhanced by using decorative elements, like the little stars on the Chancey of the Maury River pages, then I start looking for those, too. Of course, the decorative elements should look like they belong with the fonts, and that is where the fun begins, making those choices. Q: How many typefaces are there in the world? Sherry: Well, I don’t know exactly how many typefaces there are, except to say there are thousands! Some are really beautiful, some are funny, and some look very similar to many others. It is the designer’s job to find the right fonts for each project. Many fonts can be seen online, and there are printed catalogs and books as well. But, back to how a book is designed. After reading the manuscript, and thinking about the fonts, I think about the size of the book. How big or how small the book is also has an impact on how you feel about it as you are reading it. So, many decisions are made in the beginning. Q: Do you only use a computer or did you draw the chapter titles for Chancey by hand? I do most of my work on the computer, using two design programs, either Quark or InDesign. However, I usually start by drawing the outline of the page on paper. For instance, Chancey is 5.5 inches wide x 8.25 inches high. Then I think about the space around the type, called the margins. I draw a box on my page that shows me how much space I want the type to take up. The margin that is on the side that goes into the middle of the book is called the gutter. It is usually the smallest measurement. The margin at the top of the page is called the head margin. It is a little bigger than the gutter. The margin on the outside of the book is a little bigger than the head margin, and last, the bottom margin, called the foot margin, is the biggest. The next step happens on the computer. In a design program I make the same page I designed on paper, and try out some fonts to see if they work for the story. I try them in different sizes, too, until they look just right. I also try different amounts of space between the lines of type, which is easy to do on the computer! Then I can see how big the type will be, and how it will fit on the in the space on the page inside the margins I drew. Sometimes the margins have to change a little bit, or the size of the type, until the page looks balanced. Then I try out some fonts for the chapter titles and ornaments, and for the page numbers. The name for the number at the bottom of a page is folio. Q: How did you pick the stars at the bottom of each page in Chancey of the Maury River? How many typefaces are you using in Chancey? Sherry: The stars in Chancey are from a font called Zapf Dingbats! Dingbats is another name for ornaments. I chose them because stars play an important part in the story. The other fonts are Horley Old Style, which is what the pages are typeset in, and Dear Sarah, which looks like handwriting. So no, I didn’t draw the chapter titles. There are many fonts that look like handwriting, in many styles. Another designer created the book cover, and she chose Dear Sarah because it looks classic and warm, which is another way of saying it looks friendly to the reader. We wanted the inside of the book to look like it belonged with the cover, so Dear Sarah was used for the chapter titles. I thought that Horley Old style also had a warm feeling that felt right and fit the story, and worked well with Dear Sarah. Dear Sarah is the font used for Chancey's chapter titles. 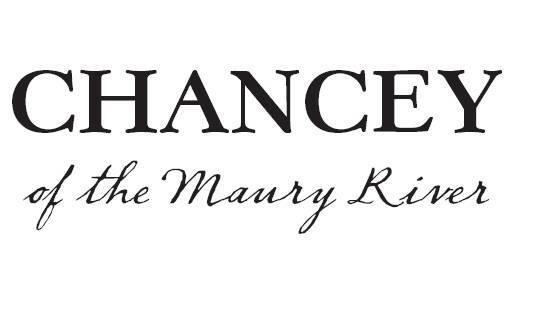 Horley Old Style is the font for the text in Chancey. Q: What does it mean when a book is typeset? Sherry: When we say a book is typeset, we mean that after all the design decisions I described above are made, someone called a typesetter will create the entire book on the computer, using all those design guidelines: the page size, the margins, the font and how big it is, how many lines will be on each page, and where the folios will be placed. Years ago, before computers were invented, every single letter of every word was placed by hand. Fonts were cast in metal in complete alphabets, including numbers and punctuation symbols. The metal pieces making up the words were lined up on thin bars to keep them straight across the bottom, and row after row was set in place by hand. More bars were added to make spaces between the lines. When a page was finished, it would be covered in ink, and run through a press to print it on paper. We still use the term typesetting today, even though the process is quite different on the computer. I hope you now understand a little more about how a book is designed. Thank you for asking! 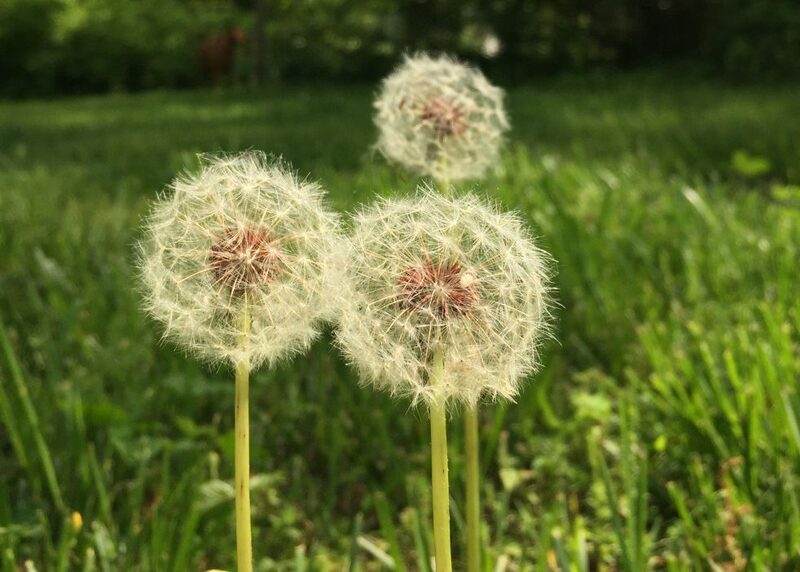 Next Post Can Spring Be Far Behind?